Pre-stuffed pork chops require a little special attention to make sure they're safe to eat. 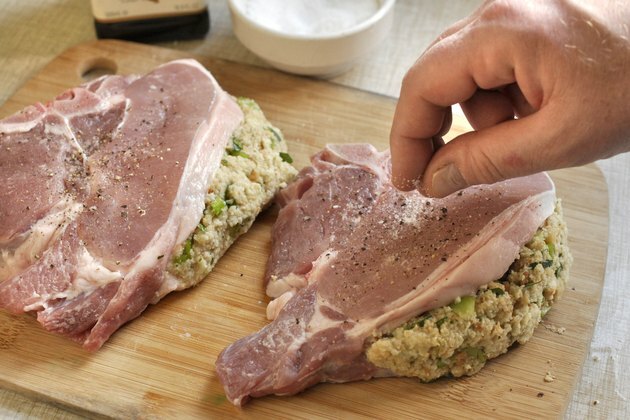 Stuffing inside in the chops mixed with the blood and juices of raw pork makes a potentially dangerous breeding ground for illness-inducing bacteria. When at all possible, buy freshly stuffed pork chops or stuff them yourself before cooking. 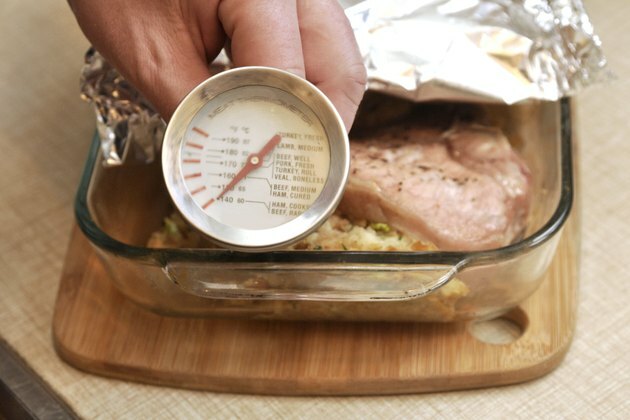 Regardless of when they're stuffed, be ware of cooking times and temperatures to make this dish safe to eat without creating tough, dry pork chops. Dust the pork chops on each side with salt, pepper, and herbs and spices you prefer. 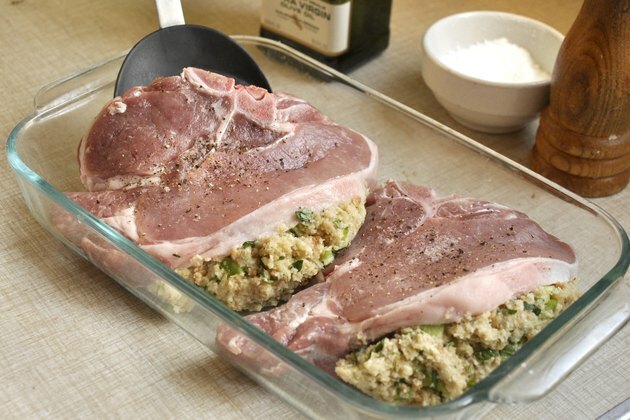 Place the stuffed pork chops in a casserole dish and arrange them so there's a few inches of space between each chop. 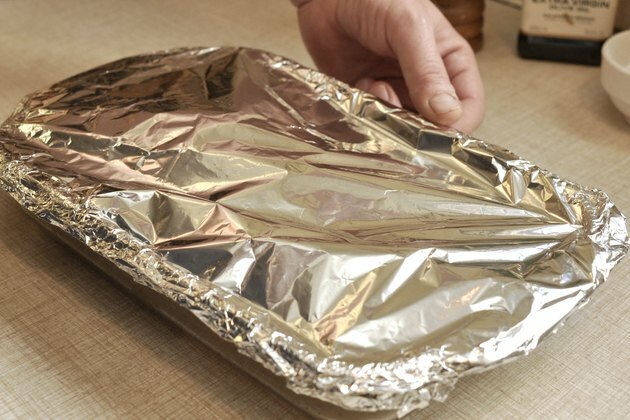 Cover the casserole dish with foil, tenting the foil slightly if necessary so it's not touching the surface of the pork chops. Bake the pork chops for 20 to 30 minutes per pound. 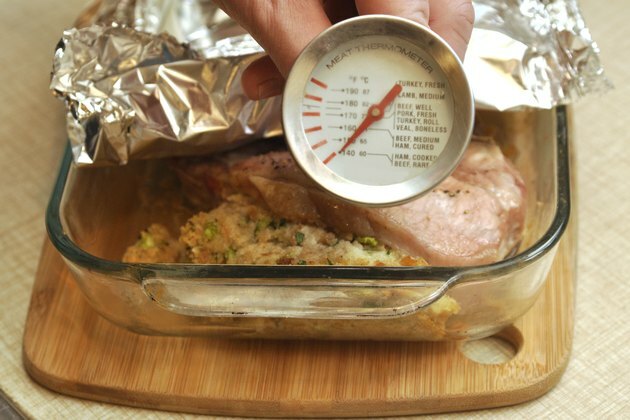 Use a meat thermometer to test the internal temperature of the meat, ensuring that the probe is in the meat and not the stuffing. Pork is safe to eat when the internal temperature reaches 145 degrees. Cook it longer if you prefer not to see pink. 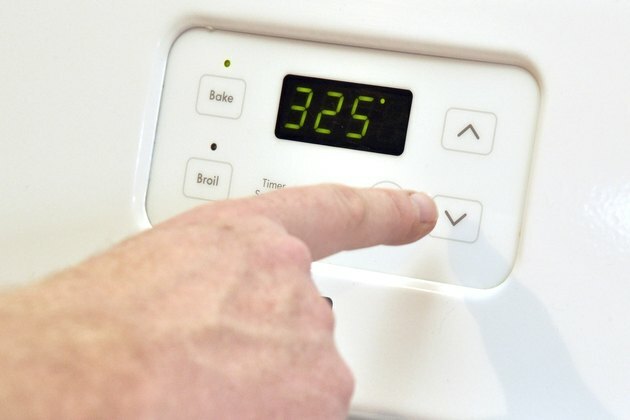 Use the thermometer again to check the temperature of the stuffing at the center. The stuffing must also be cooked to 145 degrees to kill off bacteria from the meat's juices. 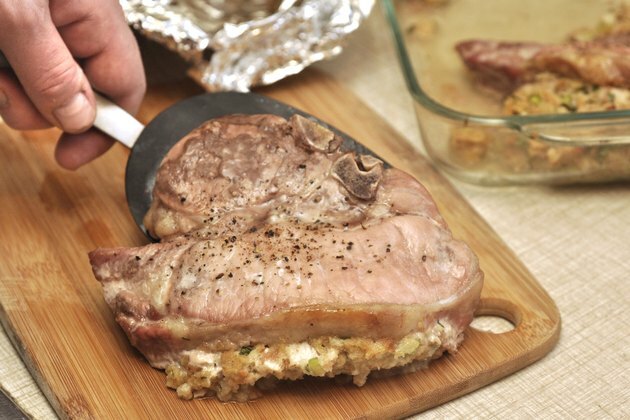 Remove the chops from the oven when both the stuffing and the meat reach a safe temperature. 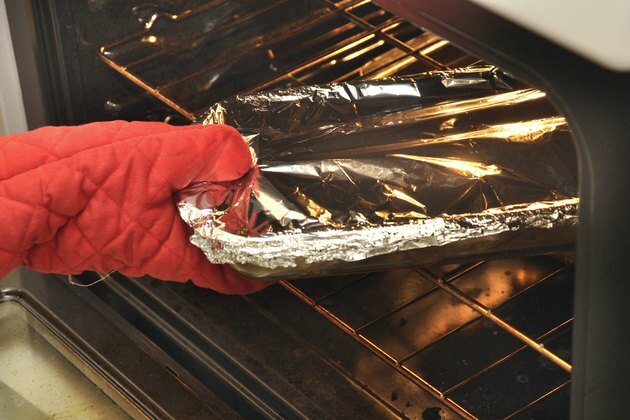 Leave the foil in place and let the pork and stuffing rest for at least three minutes before serving. 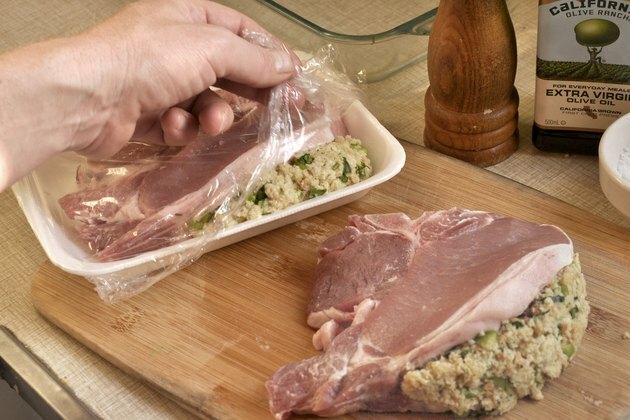 The Food and Drug Administration warns against pregnant women eating pre-stuffed fresh pork chops as the meat juices can drip into the stuffing and lead to additional bacteria growth.